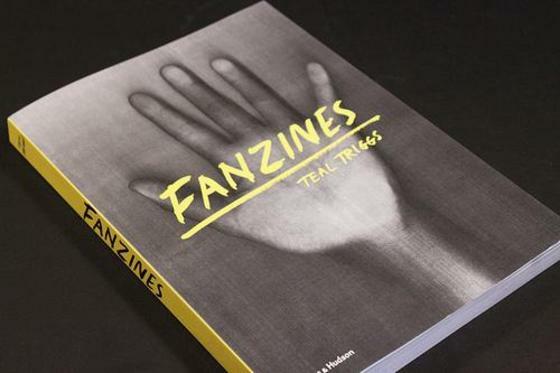 This book is a high-impact, visually curated collection of the most significant fanzines (fan magazines) ever produced, and has become a key reference point within the field of graphic design. It brings together images from a personal collection of previously unpublished fanzines with substantial context-setting essays representing over 40 years of self-publishing activity. Print magazine (February 2011) called it a ‘meticulously curated visual history of this world’. The New York Times (February 2011) reviewed the book as ‘both a fanzine of fanzines and a scholarly record’. The book has been reviewed to critical acclaim in Time Out (four stars), Notion, The Wire, Eye, Love, Tantrum Magazine, It’s Nice That and others. The research has also been presented in conferences (e.g. Monash University Australia; Grafill, Bergen, Norway), radio (e.g BBC Radio Night Waves; Resonance FM), a BBC News Audio Slide Show (29 October 2011), commissioned articles for mainstream press (e.g. b magazine, What’s Next), zine fairs, zine workshops and independent zine publications (e.g. OWT Creative and Things Happen, Manchester) in the UK and abroad (e.g. ‘UnBox Festival’, New Delhi, India sponsored by the British Council, 2013). The book opens with a historical introduction of 8,000 words and is divided into five thematic chapters, each with a 2,500-word essay followed by a curated image section. The book has over 750 fanzine images with extended captioning for each – many of which have never been catalogued, and includes an extensive bibliography. The work emerged from research undertaken as part of a PhD (University of Reading) and builds upon peer-reviewed research previously published in academic journals (e.g. Journal of Design History, 19:1, 2006, pp.69–83]). The primary research (e.g. archives, interviews) is framed by popular and visual culture theory using a range of theoretical models including design history, publishing history, political science and subcultural theory.